Many users of WhatsApp are complaining about quality of video chat on Play Store and App Store. 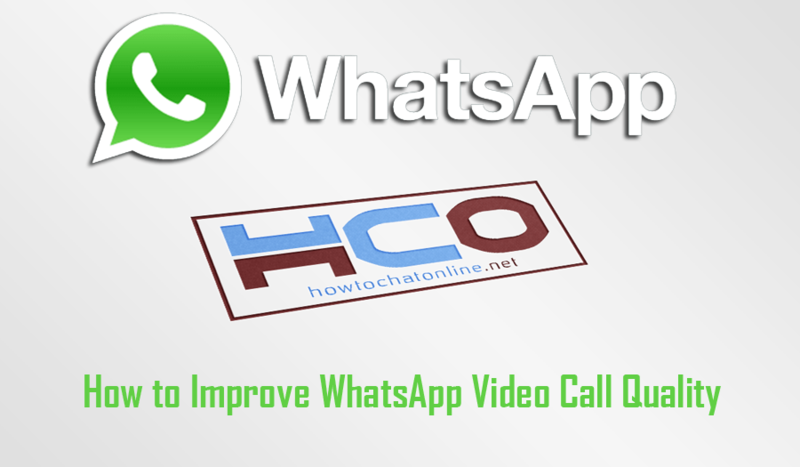 This time we are going to provide information for you about how to improve WhatsApp video call quality on this page. There will be some tips and tricks for these. We hope that this is going to help you about getting better video calls through the application. So let’s see that how you can do that in your device. If you have any questions, please let us know. If your video calls are blurry, you can also check our solutions for this. 3G Connection is Good for WhatsApp Video Call? Go to Settings > Connections > Turn on Wi-Fi on Android devices. Go to Settings > Enable Wi-Fi on iPhone device. Make a video call to test the quality. Improving performance of your device will also help you to improve WhatsApp video call quality. So you will able to make better video calls. How you can improve performance of your device? You will need to ensure that there is not any application which is running at background. Those applications are generally spending too much datas and they are slowing down your connection. Additionally unnecessary apps which is running on your device can affect the performance of video call. You can download apps for performance improvement from App Store and Play Store. Unfortunately 3G connection is the behind of current technology at the moment. Since applications and developers increase requirements, 3G is becoming ineffective. It is getting slower day by day at most of applications and even browsers. You can still use 3G connection and improve WhatsApp video call quality but you shouldn’t expect much with this. You can follow our steps above to increase the quality in your device. Most of phones which are in use at the moment are not supporting connections more than 3G. We believe that developers should consider about this while they are updating/developing applications. We have told you how to improve WhatsApp video call quality. We are going to be with you more tutorials at incoming days. If you don’t want to miss those guides, you can subscribe our website with filling option below. See also: Does WhatsApp Video Call Work in Dubai? ← Can’t Add Stickers to WhatsApp: How to Fix?